Being a parent is a hard, busy, and tiring job. So why should I take the time to read Proverbs? 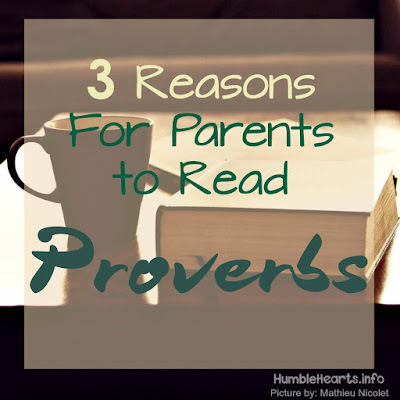 Proverbs provides lots of great tools in my parenting toolbox. There are many ideas of how to get wisdom and knowledge in the world. To get knowledge God's way, I need to have the fear of the LORD. I need to have an awe and reverence for God. The fear of the LORD is also how I start to have true wisdom. Wisdom is knowledge applied. I can know a lot as a parent, but I need wisdom to know how to use that information. To find the knowledge of God I need to seek and call out for wisdom. Proverbs were written for the young men of Israel. While our children now live in a different administration, there is much learning for our children even today. What a great goal for our children. For them to have a wise heart and to speak what is right. 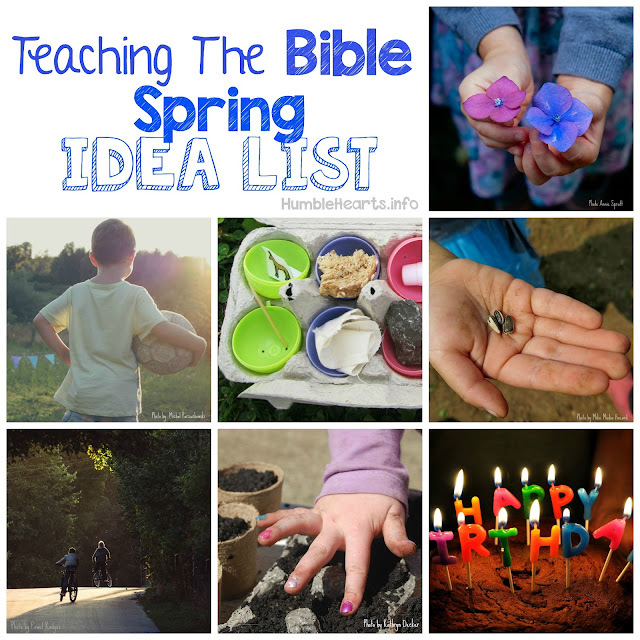 As we learn about the wisdom and knowledge from God, we can teach this to our children. This verse is great to teach to a child and then bring up and reinforce in daily life. 2. It's Great To Read 8! Read an abbreviated reading plan of 8 selected chapters: 1, 3, 4, 8, 13, 15, 17, 31. 3. Read a verse a day. 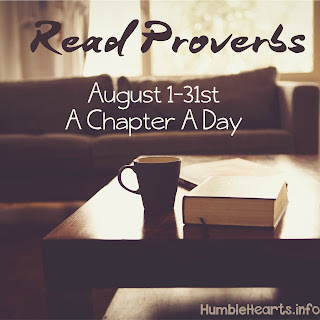 During the month of August follow Humble Hearts on Facebook or Instagram where I'll be posting a verse a day from Proverbs for the whole month. A great resource in helping to understand Proverbs is "Proverbs and The Wise Son" chapter 8 in "Scripture Consulting Select Studies" by Walter J. Cummins. I love the challenge to read a chapter a day. I am in!